The Fujifilm X system is not consequent when it comes to the approach to the problem of distortion. 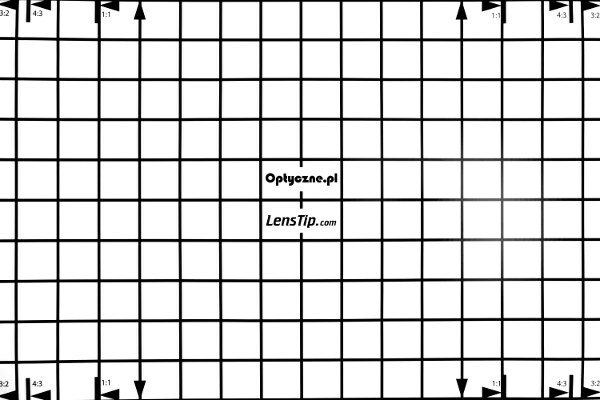 Sometimes it is corrected by optics, without any help from software. 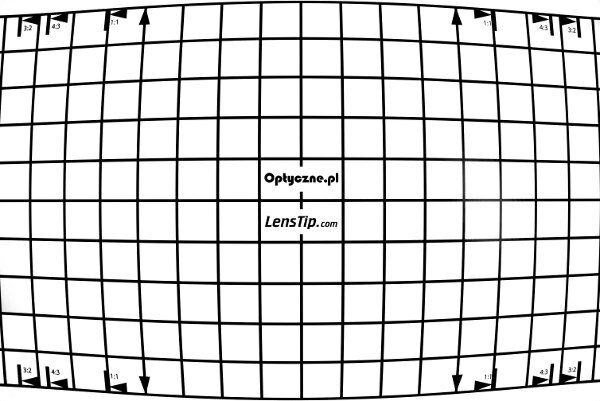 In some cases, especially concerning wide angle lenses, optics constructors strongly support the performance of the lens by the camera distortion correction. One glance at RAW files developed by neutral software such as dcraw shows that the Fujinon’s 8-16 mm constructors gave the distortion correction up completely. At the widest angle of view you deal with deformations of −8.41%, a huge level indeed, with a slight addition of moustache distortion. 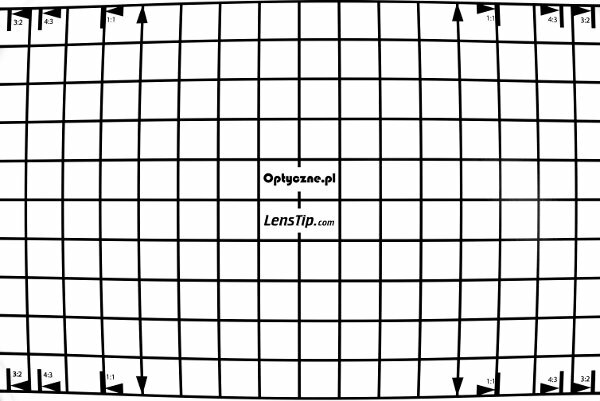 With the increase of focal lengths those deformations decrease because at 10 mm they drop to −3.59%, and at 12 mm they fall further down to a value of −0.56%. The distortion changes sign after that and starts to increase sharply. At 16 mm it reaches a quite significant value of +2.71%. That performance makes the Fujinon 8-16 mm a holder of a very disreputable record – it is a lens with the zoom ratio amounting to just two but its difference in distortion levels between extreme focal lengths reaches as much as 11.12%. 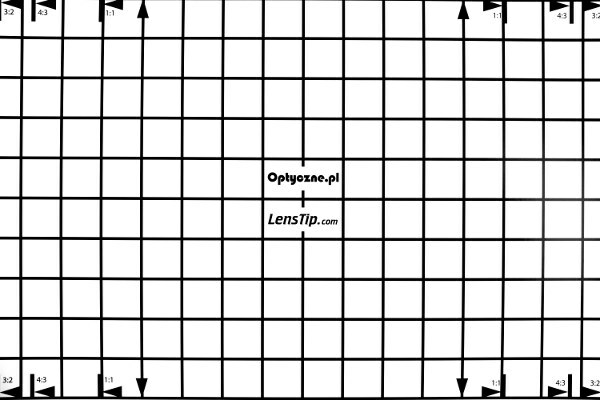 To be honest I don’t remember any other rectilinear lens with a similarly high result. When you pass to JPEG files distortion is already rigorously corrected, sometimes even overcorrected (perhaps an effect of moustache deformations). 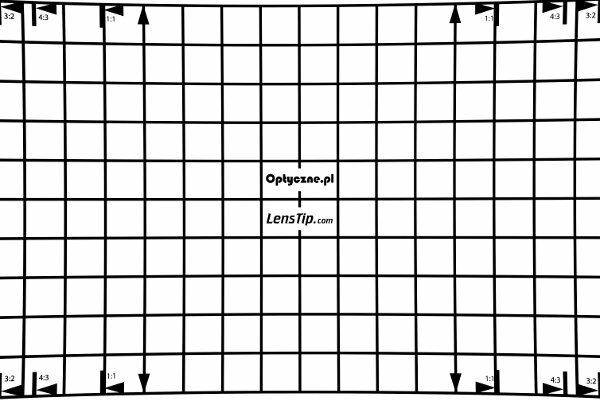 At 8 mm you get slight pincushion variation of +0.31%, and at 10 mm its value increases to +0.80% and yet previously at these focal lengths we got significant barrel distortion. 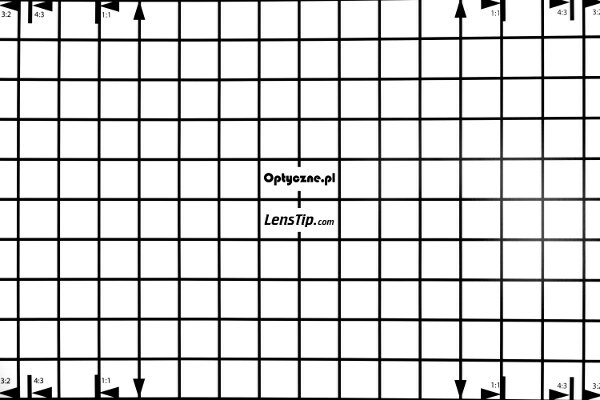 In the middle of the focal range the correction seems to be switched off because the result of −0.53% is, within the margin of error, the same as in the case of RAW files. At the maximum focal length the correction switches on again and we got −0.12%. A question concerning the field of view is also very important. Producer states that at 8 mm you should get 121 degrees. We wondered whether that value concerned an image already distortion- corrected or not. In order to find out, we took a photo of a starry sky, saving it as both a RAW and a JPEG file. The transformation of coordinates (X,Y) from the photo to equatorial coordinates on the sky with the help of known equatorial coordinates of photographed stars allows you to determine an angle of view with great precision. 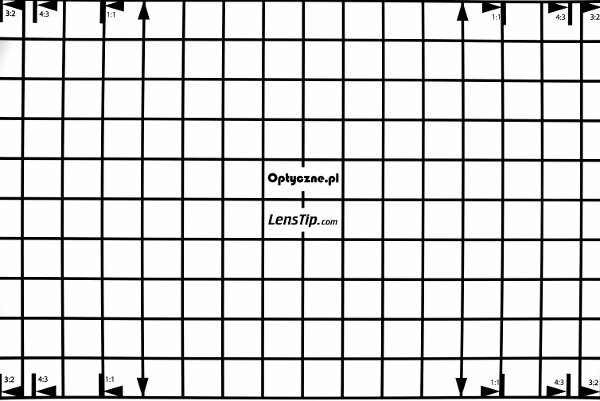 In the case of JPEG files the angle amounts to perfect 121.0 degrees with the relative error of 0.3 degrees. It means the producer is very honest, giving the field of view already after distortion correction. It also means that shooting in RAW format you get a bonus of over 5 degrees because the field of view measured for that file format was as wide as 126.4 degrees (once again with the relative error of 0.3 degrees). High level of pincushion distortion at the maximum focal length was the reason why we decided to check the field of view at that place too. The producer provides a value of 83.2 degrees but in reality the field is a bit narrower. It amounts to 82.2 degrees for JPEG files and to 82.6 degrees for RAW files (this time the relative error was about 0.2-0.3 degrees). Overall it is a very good piece of news. The available fields of view are from both sides much more interesting than the values declared by the producer. 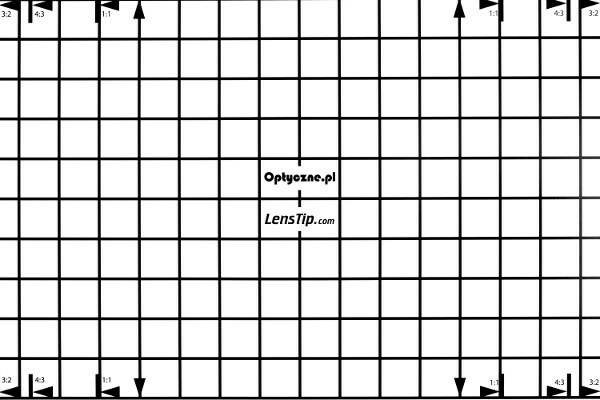 As a result you get a lens with a bit wider focal range than you’ve originally assumed.